Found in dry woods and clearings. These tall, showy wildflowers bloom in summer and early fall. 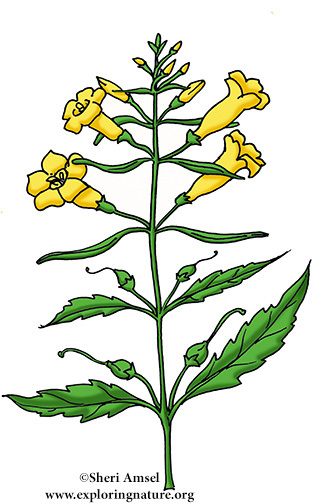 Look for the yellow, trumpet-shaped flowers.